← Are YOU “sensitive” to pollution? 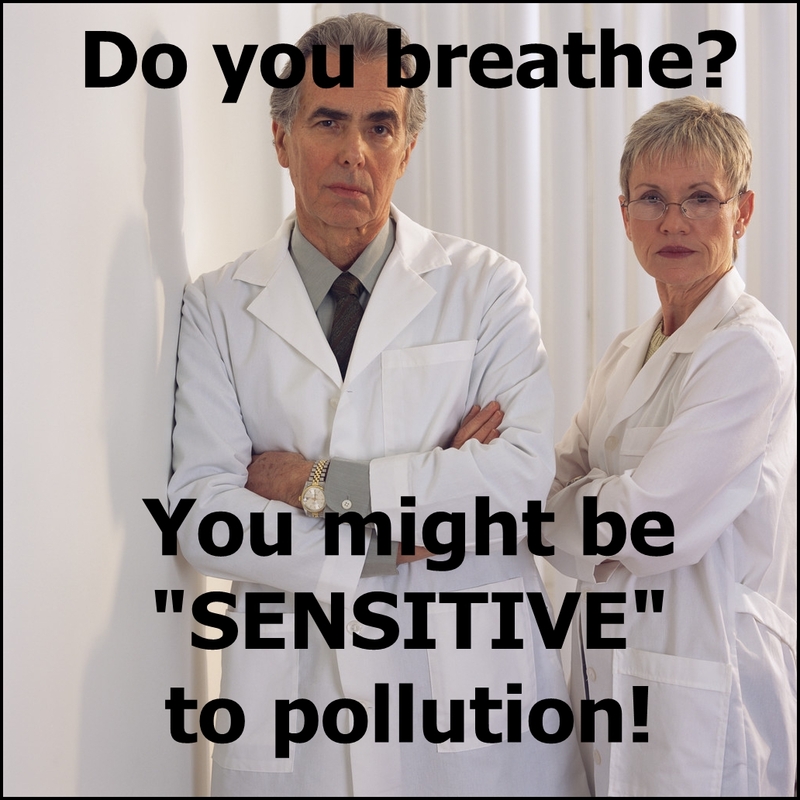 You might be “SENSITIVE” to pollution! This entry was posted in Environmental Health, Health, Images, Pollution, Toxic Trespass and tagged environment, environmental sensitivities, Fragrance, images, indoor air quality, multiple chemical sensitivities, sensitive to pollution. Bookmark the permalink. Great photo! I shall add it to my event page. If anyone is in Toronto on Tuesday April 16 at 11:00 AM please come join me at the press conference I am holding to raise awareness of MCS, housing and human rights. Please like my FB Page. Thanks! I see you made use of a lot of what I’ve written, especially from the Housing paper that was written FOR the City of Toronto’s HOT initiative a few years ago, in your description. There were several submissions then regarding housing needs of people with MCS/ES. It seems like not much has been done by the City since then. The only progress being CERA’s resources, but that still places the onus on those of us who are often too sick to do anything, to accept housing that makes us sicker and then try to advocate for change from what could be our deathbed because we are being made more sick from the unsafe housing. It reminds me of something akin to needing to train a surgeon how to remove our appendix when we arrive in emergency with a problem. I’ve shared your event on my facebook page. Have you contacted CERA and asked if they could join you? Thanks! I wonder if there is anyone who is NOT “sensitive”?